The Flo 100 presented by ASICS is a rankings list of the top high school outdoor track & field performances nationally according to results and performances entered in the MileSplit database as of June 12th. In a special edition with the New Balance Nationals this weekend, we have added the additional events which will be contested at the national meet and changed the 1600/3200 lists to mile and two mile lists. Blake Haney will making his third appearance in the adidas Dream Mile on June 14th in NYC, which will be a historic first in meet history for the boys. Haney represented the US last summer in the World Youth Championships at 1500 meters and leads the nation currently at 1500 meters. Last year, Kaylin Whitney became the first freshman to ever be invited to the Adidas Dream 100. She placed fifth and carried that momentum into the 2014 season where she picked up her third and fourth state championships, winning both the 100 and 200 for consecutive years. Recently, the soon to be East Ridge junior competed against a professional field and posted a US#2 100 meters of 11.30 and US#1 200 meters of 22.80w, one of the fastest ever all conditions by a high schooler. 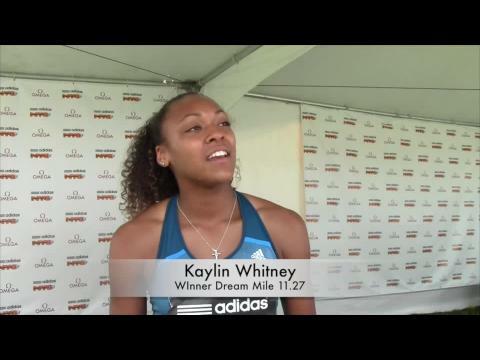 We caught up with Whitney as she prepared for a double dose of postseason meets; the Adidas Dream 100 and the Brooks PR Invitational. Watch her workout which consisted of block starts, 20 meter starts, and 60 and 80 meter runs to work on top end speed and check out her interview about her 2014 season and upcoming schedule! If any high school runner among the current crop of distance stars across the national landscape is destined to become the next sub 4 minute prep miler, it would be Blake Haney of Stockdale High School in Bakersfield, California. Ever since running 4:13 1600 as a freshmen in the California state meet and continuing that progression over the last two years to run 4:09 for the mile as a sophomore and a 4:07 mile as a junior, Haney has been building to this senior season of outdoor track to see how close he can finish to run a time near four minutes flat. 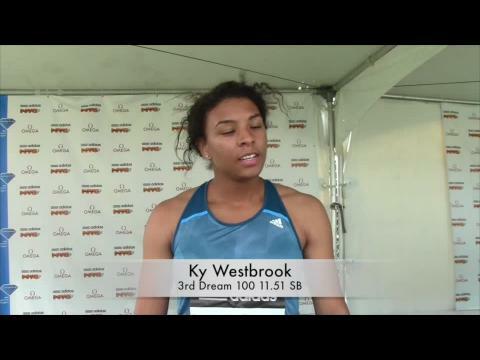 Ky Westbrook, a senior at Chandler High School in Arizona, is back to defend her title in the adidas Dream 100 on June 14th at Icahn Stadium in New York. A World Youth Champion at 100 meters (11.33 PR) last summer, Chandler was slowed earlier this year by injury by rounding back to her top form in time for the post-season and the adidas Grand Prix. Ricky Faure, Sukhi Khosla, Blake Haney, and Garrett O'Toole, whose 4:01.89 mile last week leads the nation, will headline the Boys' Dream Mile at the adidas Grand Prix on Saturday, June 14, organizers announced today. He won Foot Locker Nationals in the fall. He claimed another national title indoors in the mile at the New Balance Nationals. 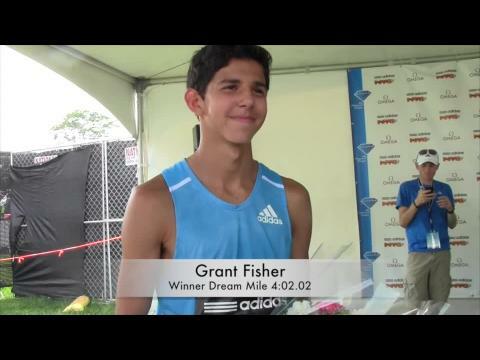 So it comes as to no surprise that Grand Blanc junior Grant Fisher would come out victorious again racing against the top prep milers in the country at the Dream Mile on Saturday afternoon at the adidas Grand Prix in New York City. After sitting back in the field for the first 3 laps, FIsher asserted himself in the final 150 to break away from a pack of hopeful winners to run a lifetime best time and US #2 performance of 4:02.02. Watch his race video above from Flotrack and check out more coverage from MileSplit below. The Big Apple became prime pickings for Florida sprinters at the 2014 Adidas Grand Prix. Sunshine state speedsters went 1-2-4 in the girls Dream 100 with Kaylin Whitney improving on her 2013 fifth place finish with Teahna Daniels and Krystal Sparling crossing the finish right after. The boys went 1-3-4 in their respective race with Kendal Williams bringing the "belt" back to Florida. Terry Jernigan and Andre Ewers were right behind him with times of 10.64 and 10.65. Our MileSplit team was on-site and will have photos and interviews in the coming hours. Leon High School coach Andrew Wills isn't one to talk strategy or give away training tips, but I figured I would ask anyways. So when he told me he'd fill us in on senior to be Sukhi Khosla's preparation for the Dream Mile it came as quite the surprise. Khosla's 4:05.96 is the fastest true 1600 meters in the country this year, and fourth fastest if you factor in mile conversions. He posted that blistering time at the 3A State Finals, a week after winning the 3A Region 1 Championship in a time of 4:06.45. See how the 3A Cross Country State Finals, 1600 and 3200 meter state champion prepares for one of the biggest meets in his high school career and the chance to make history in the mile. 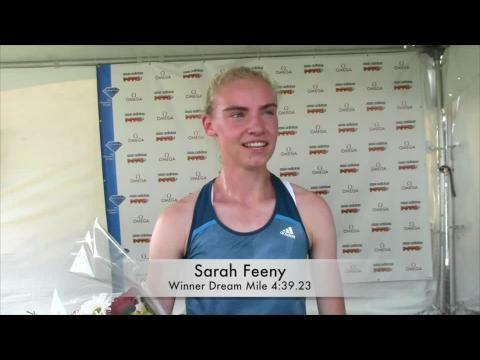 Coverage from the high school Dream Mile and 100 meter races at the 2014 adidas Grand Prix. Plenty of discussion has been generated through various media outlets for track & field including articles by Flotrack and Runner's World over the past few days on whether or not Alexa Efraimson will turn pro for her senior year of high school and take a similar path as another high school female distance running phenom Mary Cain did this past year in becoming a paid and supported professional runner during her senior year of high school after essentially running a pro circuit schedule of races while training under Nike Oregon Project coach Alberto Salazar as a high school junior but keeping her amateur status. Ky Westbrook, a senior at Chandler High School in Arizona, is back to defend her title in the adidas Dream 100 on June 14th at Icahn Stadium in New York. The IAAF World Youth Champion at 100 meters (11.33 PR) last summer, Chandler was slowed earlier this year by injury, but has been rounding back to her top form in time for the post-season and the adidas Grand Prix. Watch the featured spotlight video below on Westbrook as she attempts to become a two-time champion in the Dream 100 just over a week and half from today. As part of the adidas Golden Stripes tour, Alexa Efraimson of Camas High School (WA) was visited by Flotrack for a video feature in the early stages of her junior season of outdoor track as she preps for a big stretch of races that ultimately will lead her to running in the high school girls Dream Mile race at the adidas Grand Prix on June 14th at Icahn Stadium in New York. 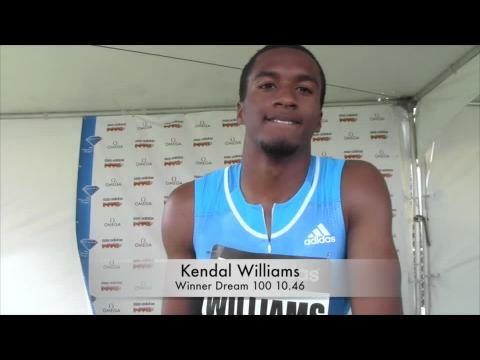 Video highlights of the Dream Mile and 100 meter races at the 2014 adidas Grand Prix on Saturday, June 14th at Icahn Stadium in New York City. 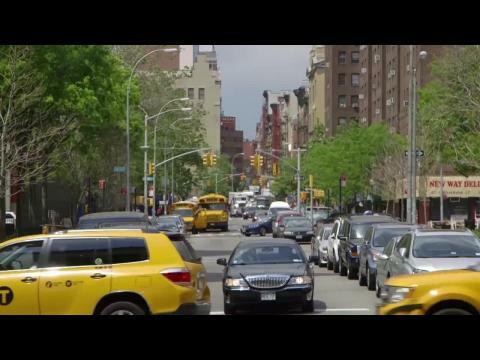 As part of the adidas Golden Stripes tour, Alexa Efraimson was visited for a video feature in the early stages of her junior season of outdoor track as she preps for a big stretch of races that ultimately will lead her to running in the high school girls Dream Mile race at the adidas Grand Prix on June 14th at Icahn Stadium in New York. Elk County Catholic senior Kennedy Weisner enters her final year of XC with a champion's resume. As a junior when she won her first state cross country title - this one in the inaugural Class A Championship. Weisner also qualified for her first Foot Locker Nationals. During indoor, she was invited to her first Millrose Mile, and also to the Brooks PR meet, an elite gathering in the Northwest. She came back in outdoor to capture two state AA titles, winning the 800 and the 1600 - a very tough double. She began her final XC season at PTXC-5, setting a course record of 17:49. An injury hurt her chance to repeat in Class A in XC, and sidelined her until December. She won the Millrose Trials Mile and finished 2nd in the Millrose Games. This was her third year qualifying for the Penn Relaya Carnival Mile - taking 5th as a sophomore, 3rd as a junior and 3rd as a senior. She went on to PR in the 800 at the Loucks Game, taking 3rd... and repeated the 800-1600 double wins in PIAA States in AA. Summer vacation has a different meaning for Andre Ewers. After competing at the state meet and Golden South Classic in Florida, he began a cross country road trip to compete against the nation’s best runners and improve his track and field resume. Last week he headed to Albuquerque,New Mexico for the Great Southwest Classic. This week he traveled from home base in Fort Lauderdale to New York City, home of Saturday’s Adidas Grand Prix and the Dream 100 which the Piper class of 2014 star received a golden ticket to attend. Ewers says the last couple of weeks have been amazing. Blake Haney, a senior at Stockdale High School in Bakersfield, California will have at least two great opportunities this outdoor season to chase after the elusive sub 4 minute barrier in the mile. His first best crack at sub 4 will be this weekend when he runs the mile against pros in the international men's field (12:33 PM PT) at the Prefontaine Classic in Eugene, Oregon. Watch his workout video (produced by Flotrack) above from earlier this outdoor season. Stephanie Jenks (Aurora, IA), #3 on the U.S. prep list this season in the mile and #5 in the 1500 meters, leads the field for the adidas Girls' Dream Mile at the adidas Grand Prix on Saturday, June 14, organizers announced today. East Ridge sophomore Kaylin Whitney becomes the sixth Floridian to receive a "golden ticket" and attend the prestigious dream races in New York City. Whitney, who became the first freshman to attend the meet last year and finished fifth, received the invitation at her school this week. She says she was happy and very excited to have the opportunity to go back again. 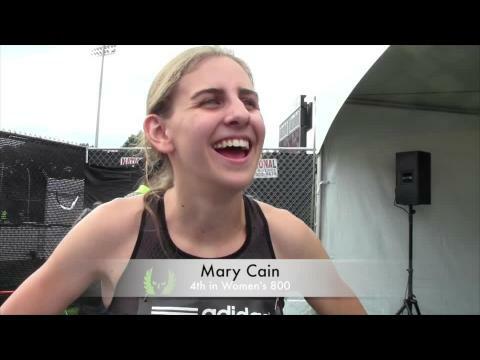 Now that the official and final list of entrants is out for the Girls Dream Mile at the 2014 adidas Grand Prix, lets take a look at the times run by these top prep milers over 2014 which helped earned them a spot in this Saturday's race at Icahn Stadium in New York City. Now that the official and final list of entrants for the Boys Dream Mile at the 2014 adidas Grand Prix, lets take a look at the times run by these top prep milers over 2014 which helped earned them a spot in this Saturday's race at Icahn Stadium in New York City. Floridians invaded New York City and while they showcased their speed on the track they also had some fun off the track, sightseeing, and mingling with the professional athletes. Check out the photos of all the festivities from throughout the weekend! Madie Boreman, a sophomore distance runner at Leander Rouse High School in Texas, also pulls double time as a soccer star at her school. Boreman won the Texas 4A state title at 1600 meters last spring as a freshmen and earned an invitation to the 2013 adidas Dream Mile which she placed 7th in the elite race in New York City with a PR of 4:46. Being multi-talented as well as quick on her feet both on the track and on the soccer field helped Boreman to be selected and featured in the adidas my boost dual sport athlete video series earlier this spring. 3 Texas Athletes competed in the pretigious Adidas Grand Prix meet at Icahn Stadium in New York. Malcolm White (Katy Taylor), Kourtnei Johnson (Italy) and Austen Dalquist (Keller) all earned the golden ticket. Golden Tickets were given out only to the most elite kids in the US. Just to compete in this event was an honor. Sukhi Khosla waited for the moment his invitation to the Adidas Dream Mile would come. He checked his mail several times a day, pacing back and forth waiting f or his ticket to New York City to arrive. He had seen the Twitter posts from other athletes around the country, he watched the latest lists of invitees, until it finally arrived. The nation's fastest 1600 meter runner, Khosla, says he would have been offended if he had not received an invite. We are putting together a prediction contest for our site viewers on who they think will be the winner and their winning time for the adidas Boys Dream Mile on Saturday (race starts at 3:30 PM). The winner of the contest will get hooked up with an adidas prize pack! Submit your predictions for the contest by 3 PM ET on Saturday, June 14th. 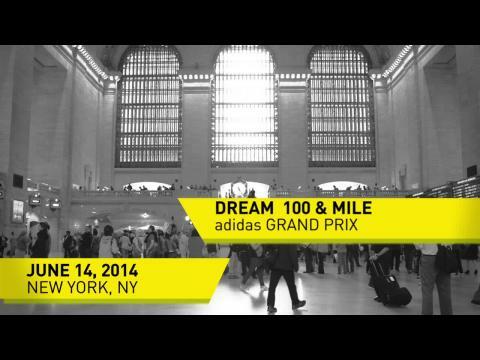 Video preview above by Flotrack's Alex Lohr of the upcoming Dream Mile and 100 races at the adidas Grand Prix on Saturday, June 14th at Icahn Stadium in New York City. The Show Me State was well represented in the high school races in the Adidas Grand Prix event in New York City on Saturday.